ULTRA Testing cofounder Rajesh Anandan hopes to grow his team of testers to at least 250 in the next three years. Mark Leslie is a capable computer programmer who speaks four languages, but until recently the latest entry on his résumé was a retail job he held for six years at a Barnes & Noble in New York City. Like many of the estimated 1.5 million Americans on the autism spectrum, Leslie, who has Asperger's syndrome, is at a disadvantage in traditional office environments. There, he could run into unplanned social interactions that can cause anxiety or risk reporting to a boss ill-equipped to communicate with someone on the spectrum. But a year and a half ago, Leslie found a better work situation at a software-testing firm, ULTRA Testing, a company that not only accommodates his condition but was created with the specific intention of hiring people on the autism spectrum. In Leslie's time at the company, the New York-based firm has reached profitability and grown its team of testers — all on the spectrum — from three to 10. Meanwhile, Leslie himself has grown from the challenge of learning the complex systems he is assigned to debug and having to communicate his findings to his bosses concisely. "It really helps for me to bring out the talent that I feel like I’ve had, but I haven’t really had the opportunity to explore it as fully as I am now," Leslie, 35, said in an interview with Business Insider. "It's a constant learning experience and it's constantly challenging, which I really enjoy." ULTRA Testing was founded in 2012 by a pair of former MIT roommates, Rajesh Anandan and Art Shectman. 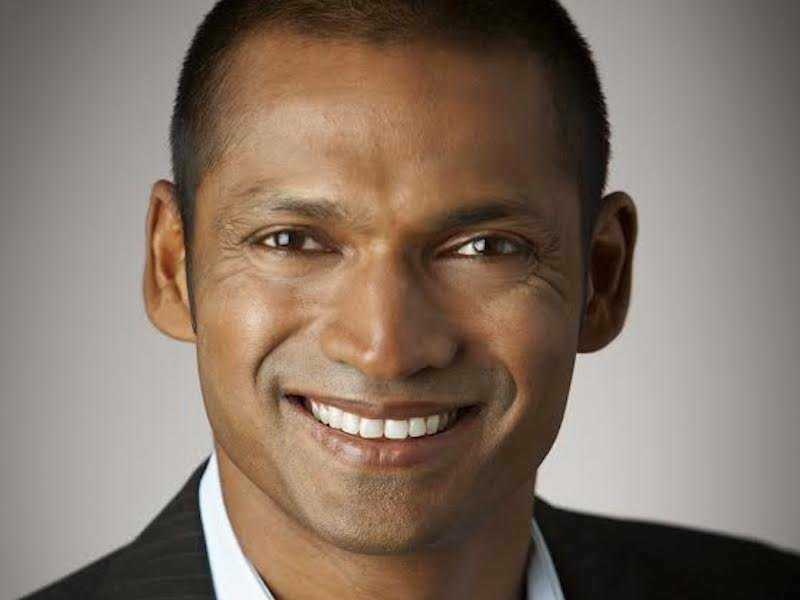 Anandan, who also works as SVP of strategic partnerships for the global charity UNICEF, has always believed that people with disabilities are likely to have hidden talents that others fail to notice. For instance, he says, someone who is born blind might have superior hearing and someone born deaf might have above-average sight. As a result, he maintains, employers around the world are leaving huge pools of talent untapped because they don't know where to look. And, more important, many talented people, like Leslie, can find themselves shut out from the job market or underemployed because companies fail to look past their disabilities. This is especially true of the 400,000 autism spectrum members deemed to be high-functioning, meaning they have strong visual and spatial relations skills and average or above-average IQs. Research suggests they can have heightened abilities in pattern recognition and logical reasoning, but many adults living with autism and Asperger's are thwarted by job interviews that test their limited social skills and workplace environments that are unprepared for their literal-mindedness and unrelenting attention to detail. "Even in a best-case scenario where you have a protective family and an inclusive education system, when kids age out, there are no jobs, there is no opportunity, and if you’re not from an affluent family, it’s really bad news," Anandan said. Anandan and Shectman founded ULTRA Testing on the belief that many of the same attributes that make traditional workplace settings difficult for members of its talent pool also make them the perfect candidates for quality assurance jobs, where finding something out of place is not a nuisance but an essential part of the job. People with autism and Asperger's tend to engage in repetitive behaviors that others might consider boring, which allows them to maintain focus as they test whether a given piece of software works on different devices, operating systems, and web browsers — over, and over, and over again. "It's funny because if you were to write the sort of natural skills you’re looking for in a tester, there’s only one place we know to look," Anandan said. The company finds its talent by posting job openings with advocacy groups like the Asperger Syndrome Training & Employment Partnership (ASTEP), whose founder, Marcia Scheiner, sits on ULTRA Testing's board of directors. Since about 80% of adults on the autism spectrum are unemployed, Anandan says it is almost sad how quickly the applications roll in. He said that after posting a job on one of the advocacy networks, his company can receive 150 applications in 72 hours. To decrease the social anxiety that can come with an in-person interview, Anandan interviews prospective testers on Skype or by phone, asking questions like "What's your favorite web browser?" to gauge their interest in technology. But because many testers, even those with advanced degrees, have been out of the labor force for years, resumes aren’t particularly useful. Instead, the company has created a series of diagnostic tests that measure the ability to recognize patterns and follow a path to completion. Though Anandan considers himself no slouch in the pattern-recognition department — he holds a masters degree in computer science from MIT — he said nearly every tester the company has hired has outscored him on the tests. So far, ULTRA Testing has hired 10 testers, who make between $15 and $20 an hour and mostly work part-time schedules. Though ULTRA Testing has a small office in Manhattan, most of the team prefers to work from home. By the end of July, Anandan hopes to transition Leslie and one other tester into full-time salaried employees. "Every person who gets a job who hasn’t worked or didn’t think they would get a job and is successful, it’s hugely fulfilling," Anandan said. "This person has a name, this person has a family, their parents might have emailed me to get the interview." While several nonprofit groups have set up similar spectrum-staffed software testing companies, ULTRA Testing is unique in that it is a for-profit business that seeks to compete on market value alone. So far, the company has done work for advertising titans like Droga5 and other media companies, in part due to connections it has made through Shectman. His other company, Elephant Ventures, helps advertising agencies and brands with the technology in their apps and digital experiences. Though Ultra Testing uses specially trained project managers to help clients and testers communicate with one another, the process has not been without its issues. Testers have at times had difficulty with the fluid nature of the advertising business, where clients can at times be unavailable and meetings can be moved or canceled on short notice. The resulting uncertainty can create a great deal of anxiety for some of the testers, who sometimes refrain from reporting their discomfort because the prospect of doing so leads to more stress. As such, Anandan said the company is taking additional steps to gauge the moods of its testers and to be proactive about preparing them for when plans change on the fly. "That’s one of our core challenges, 'How can we make enough structure in a fast-moving environment while being able to be responsive to our clients and deliver an efficient service?'" Anandan said. "The structure we’re implementing is just taking more time within the internal team and not being visible to the clients. It means we’re not as profitable as another business would be, but we’re not trying to maximize profits, we’re trying to maximize the quality of the service and how quickly we can grow." So far, it seems like clients are happy. ULTRA Testing's team of testers recently beat out a team from IBM for a project, and Steve Marchese, executive producer for The Webby Awards, had nothing but praise for the company after it made sure the website for his People's Voice Awards would run smoothly across mobile devices. "The errors they caught were so incredibly specific — down to single pixels being out of place — that it was just mind-boggling," Marchese said. "It was a detail of quality assurance that in my 14 years of web production I had never seen." "It wasn’t unnecessary work. Every single thing that they had caught was something that was broken." By the end of the year, ULTRA Testing expects to make $1 million in revenues and hopes to add 15 to 20 testers. Within three years, it is planning to expand to between 250 and 300 testers. The company has already paid dividends for the employees on its team. One tester wound up getting a job as a network engineer at Cisco, while Leslie has enjoyed the feeling of mastery that comes with learning the ins and outs of the applications he works on. Not only that, but he's had some fun along the way. "When they first started inviting me to come into the office, or to a drinks night they have every now and again, I would just kind of say, 'You know, I'm kind of a little bit nervous because I’m kind of socially awkward,'" Leslie recounted. "And Art Shectman just kind of looked at me, and he was, like, 'Mark, have you seen our team? Everyone’s socially awkward.'" "Everyone’s a bunch of geeks, and they’re all very accepting and friendly."